To sing His praises and bow. I only know to chant Your name. I only love to chant Your name. Since I only know to chant Your name. He came to Shirdi with a purpose which was so very divine. Which were blessed by kissing the Feet of a Sadguru so divine. Till with water He lit the daily lamps which brightly shone. Symbolic of the brotherly love He wanted to share. 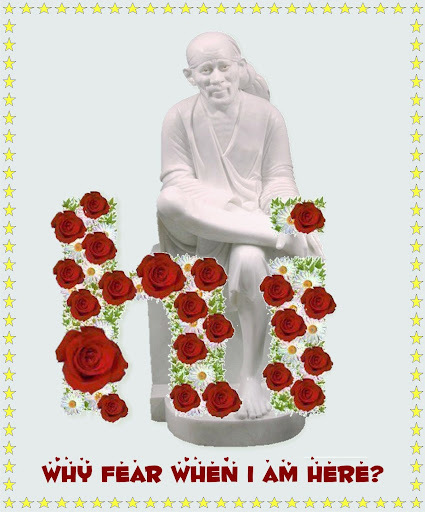 But the people of Shirdi were more fortunate to be in His grip. But I am sure those days will return if everyone prays. a sparkling face to make me free. You got to be at Sai's feet. Then you got to be at his feet. You are full of fury.